Former Bayern Munich forward Paulo Sergio has hailed Robert Lewandowski as "the best striker in the world." 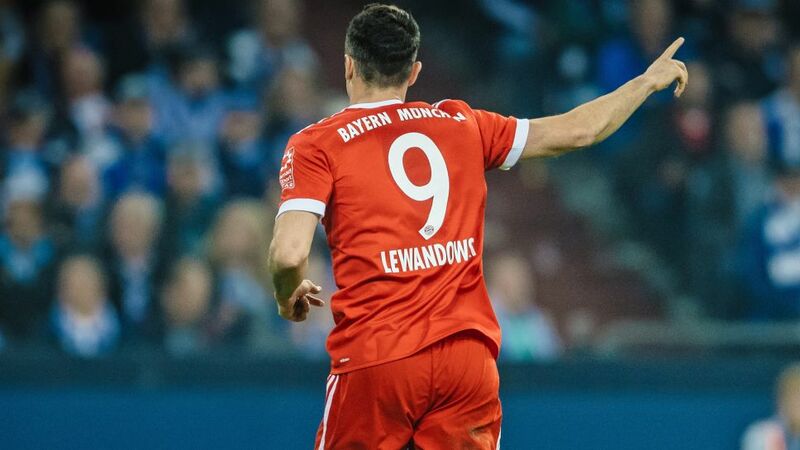 In an interview with goal.com, the Brazilian said the combination of Lewandowski's goal-scoring ability and his superior technique puts Bayern's prolific No.9 ahead of his peers. "I think [Lewandowski] is the best in his position," opined Sergio, scorer of 34 goals in 125 appearances over the course of three seasons in a Bayern shirt between 1999-2001. "Robert scores so many goals, but he also has superb technique. "[Barcelona's] Luis Suarez is up there, but Lewandowski has better technique. He's the better player, for me." Few would disagree. With a league-leading 26 Bundesliga goals so far this season - twice as many as his nearest pursuer in the scoring charts - Lewandowski is on course for a third Torjägerkanone prize, as well as a sixth Bundesliga title. The Poland captain has also struck five times in the UEFA Champions League and added three DFB Cup goals to his 2017/18 tally, fuelling Bayern's hopes of repeating their 2013 treble success. "I think Bayern are pretty close to the treble-winning form of 2012/13," Sergio added. "The Bundesliga title is essentially in the bag, now it's about other goals. The biggest of the lot is to win the Champions League again, and I think they're in with a big chance." Bayern, who will be crowned Bundesliga champions for a sixth successive season and 27th overall with a win against Augsburg at the weekend, hold all the cards in their UEFA Champions League quarter-final tie with Sevilla after winning the first leg 2-1 in Spain on Tuesday.